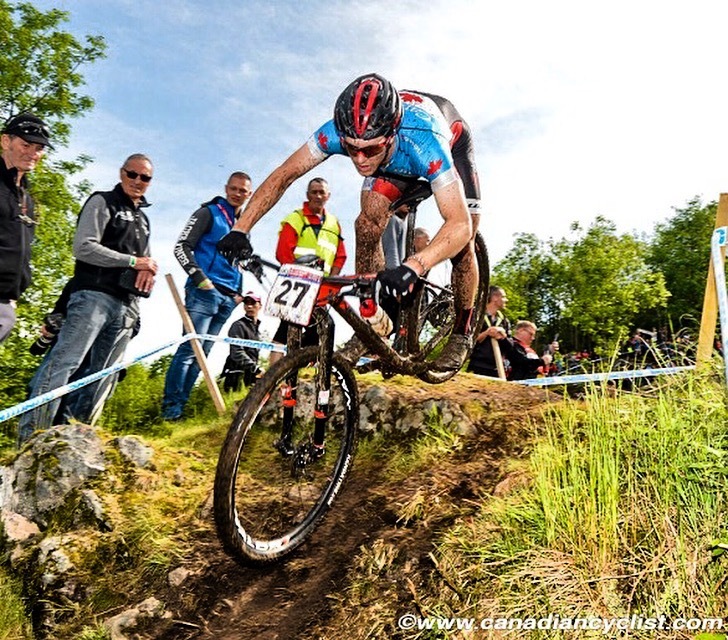 Yet again we travel back to Albstadt for the second round of this year’s World Cup races. Three times I have now raced the track there and pretty much everything remains the same. A small change off the start of the course makes the climbing a little less steep but still excessive. Over the past few years I have managed results ranging from getting pulled, to placing 23rd. This year was not a stellar performance as the legs refused to turn around. I would settle for 39th, while being top Canadian but still very unsatisfied. The course in backcountry Germany is an interesting one. Very steep climbs, while relatively short, and some significant elevation gain over the full lap. This year would be the first year a proper start loop would be used – eliminating the fighting and bottlenecks that were extremely common for this event. The DHs on course were sweet. Not overly technical from a features stand point but the weather played a nasty part this year. The rock in Albstadt is like escarpment rock in Ontario (if you know your geology you’ll know this is very slippery when wet). The course was like ice. Anywhere that was shiny caused severe braking issues. 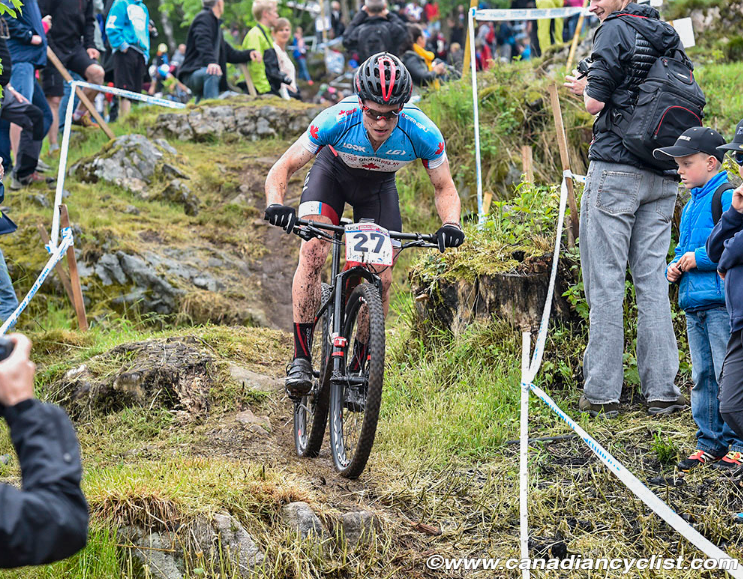 I had a little scare in pre-ride when I was following Norco teammate Evan Guthrie and slipped out of the rut. There was one rut down the course that day, it was a hold on and pray type rut and I high-sided out of it. I made a quick exit and a quicker stop into a tree. I crushed/cracked the side of my helmet as I had unfortunately caught the side of my head on said tree while dismounting the bike. There is a science to hitting trees. I like to put my front wheel to one side, keeping my hands on the bar, slam my bars into the tree, decelerate with my arms a little but also twist my body to the side. I then, normally, go flying past the tree – maybe catching my leg on the way by. This time, however, I was a little slow on the eject and caught my head on the tree flinging myself around, glasses flying and leaving me seeing stars. All good though – no concussion. As for the race, it was hard. Mentally things got tough when the legs wouldn’t turn over. I made sure to press on as much as possible claiming that 39th position but not a great ride. I do have to mention though that 39th place was earned because on the last lap as I had 6 guys about 5 seconds behind me. It was a rush to get to the finish before they caught me. New venue, new experiences, new places. I had never been to France before (for a race) and I was too young to race La Bresse when they hosted a world cup many years ago. It looked extremely intimidating as the course was on the edge of a cliff. The tape could be seen switch-backing miles away as the course cut across the grassy sections of the slope. 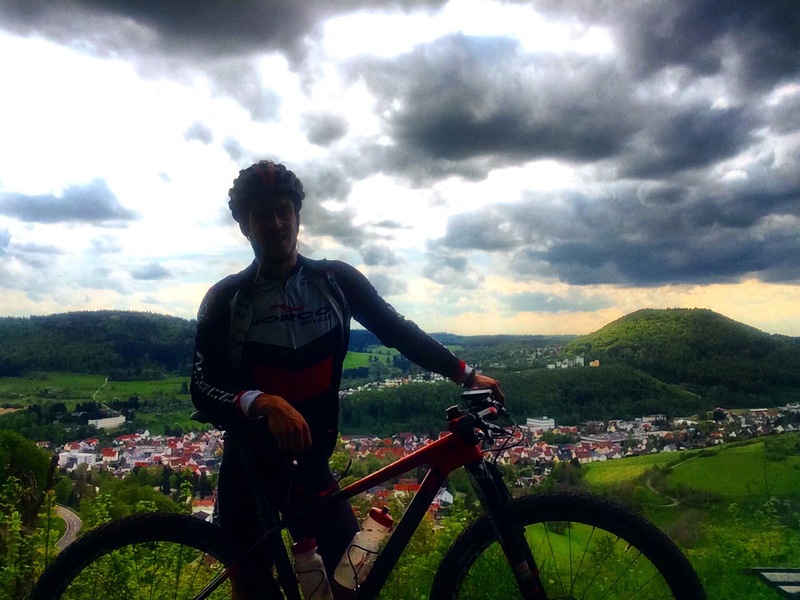 The race would prove to be better than Albstadt. Moving up on the grid a few start positions, getting a very good start in the first straight away (literally top 10) then crushing through the field for the remainder of the race felt good. The course was one big climb: 6-8 minutes, with a very rewarding descent. The descent was as long as the climb with respect to time, because there were multiple little climbs and traverses. This course was a mess of switchbacks. I crushed souls on the descent especially in areas that got ‘rad’ with a little mud and momentum. I crushed some souls on the climbs too – moving up 4 spots in my final lap. Finishing a very respectable 17th – respectable for where I am in my season and where I want to be. Rad rocks, drops, roots, berms and jumps littered the course. This was a pretty good show of ‘real’ mountain biking. It’s not a course you would want to race if you weren’t feeling ‘on’. That being said, I felt on, and was ready to shake and bake. I was able to break the climb into stages. There was a long road climb, good to stand and power up. Then a slight break on a flat grass traverse followed by a steep traversing grass climb. There would be another short break before crushing a tech, and slippery, climb. Another short break with a rock feature was next and then the final mother of a wall climb. But, after all that it was basically all DH. Getting past riders on the downhill was tricky and proved necessary for some of the folk I was stuck behind. There was one turn in particular that everyone would set up wide for (since it was faster) but opened the door for an inside pass. I sniped three positions on that corner (over 5 laps), dropped those riders on the descent and never saw them again. It was sweet. Then it was just time to get loose and try to not crack a carbon rim. Pretty simple. In non-racing related news, La Bresse, the valley and pretty much that area of France is amazing. I would love to go there to cycle tour / training camp / ski trip. Not to mention they have tree top trekking. Lovely area. 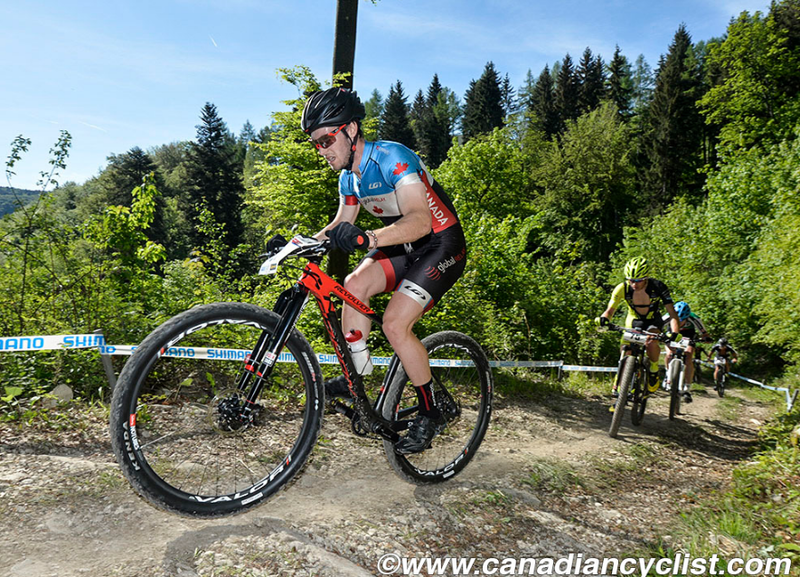 A big thanks to Cycling Canada for the great project, crisp bikes, great physio treatment and everything else in between, can’t wait to do it again.